Frank Biddulph is a virtuoso violinist specialising in jazz and gypsy music, and a wide variety of traditional styles; Eastern European, Irish and Arabic/Andalusian music. 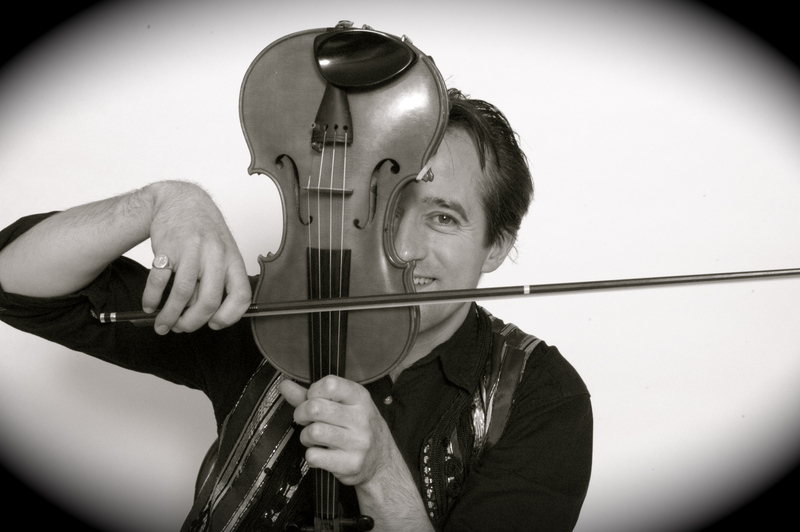 Frank Biddulph is an experienced violinist specialising in jazz and gypsy music, and a wide variety of traditional styles such as Eastern European, Irish and Arabic/Andalusian music. Regularly in demand for festivals in the UK and abroad such as Queen’s Golden Jubilee Concert at Buckingham Palace and London’s Millennium celebrations, and special events eg. Chelsea Flower Show and London Fashion Week. He is also an experienced educational composer and is Composer/Arranger in Residence at the Lambeth Music Service. He believes strongly that when children first pick up an instrument it is essential to capitalise on their enthusiasm and so writes pieces for them that are both fun and easy to play. Marama Cafe Band – an intriguing Balkan Gypsy band that play inventive versions of everything from European folk & jazz through to atmospheric French café music. Cats and a Fiddle – a swinging blend of gypsy jazz mixed with a big twist of yearning Eastern European passion. Buona Nota – an accordion, fiddle and guitar or clarinet trio specialising in music from Italy. El-Andalus – leading exponents in London of classical Arabic and Andalusian music. Champagne Swing – A jazz band with a real continental sound inspired by the great recordings of Django Reindhardt.